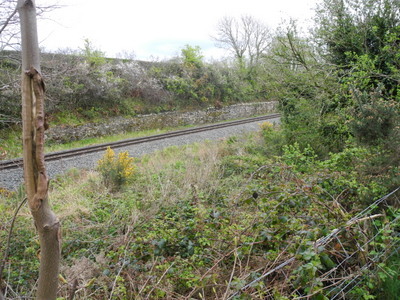 Perhaps the interesting feature in this section is the remains of the transfer sidings. 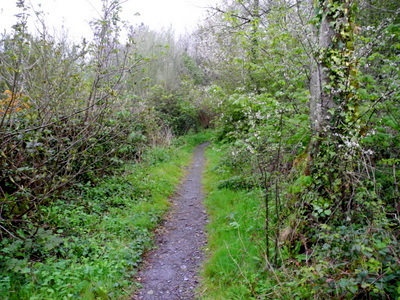 This may have been the Nantlle route, but the exact location is unclear. 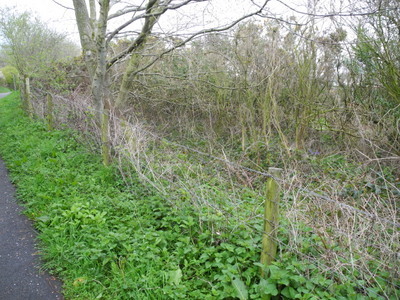 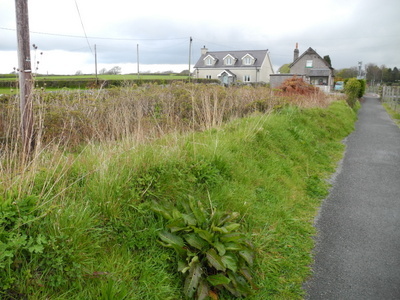 The line went on to cross the Llanfaglan road on the level, all trace being lost under the bank built to carry the road up to the later railway bridge. 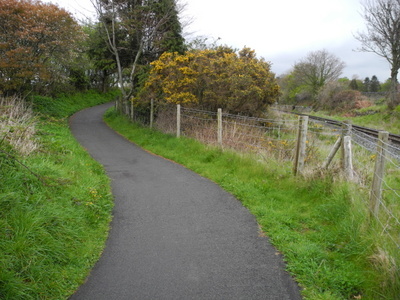 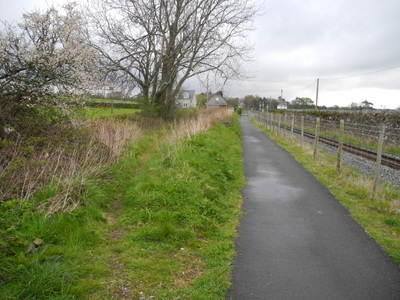 The formation leading up to Hendy crossing is wider, as it was the site of Pant station, the temporary terminus of the Carnavonshire Railway after its opening in 1867.The station was closed when the remainder of the route through Caernarfon was completed in 1870. 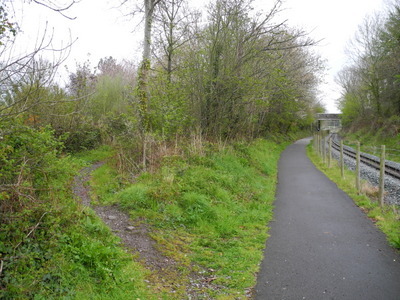 Beyond Hendy crossing the footpath takes a sudden turn to the left on to a rise. 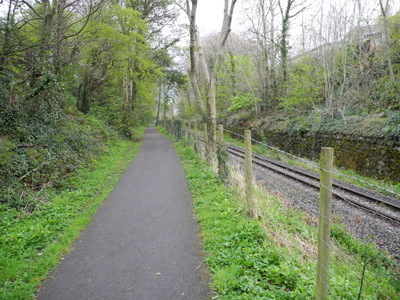 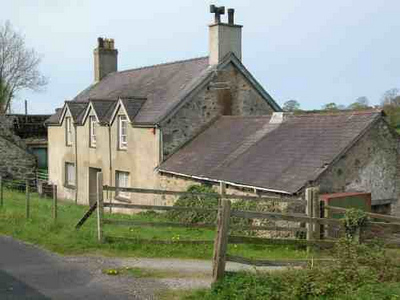 The double transfer transfer of slates required after the arrival of the Carnarvonshire Railway, namely from narrow gauge to standard gauge near Penygroes, and back to narrow gauge at Pant, greatly added to the cost of transport as well as causing damage to the cargo, much to the irritation of the quarry owners.